Once you’ve made the decision to search for a counselor, finding the one who can meet your needs can be tough ~ especially with the increasing confusion surrounding healthcare in our nation. 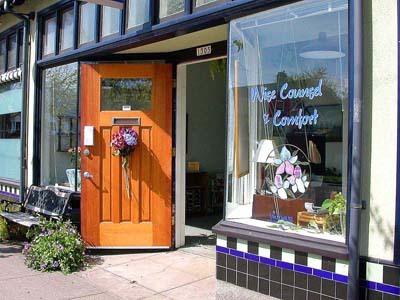 In and around Portland, Oregon, Wise Counsel & Comfort makes this task a good deal easier. Whether you are searching for a therapist for individual counseling to address relationship issues, painful emotions or symptoms, marriage counseling, family therapy or counseling for children or teens… In fact, for nearly every concern you or your loved ones might have, someone at Wise Counsel & Comfort will be the right choice. Your calls or emails will be returned promptly and appointments can be scheduled during daytime, evening or weekend hours, usually within a week of your first call. We take your financial needs into consideration when establishing fees (all WCC clinicians offer discount options for clients in financial crisis); A number of our counselors offer particularly low fees and many of us can work with your insurance company, either directly or as “out-of-network” providers. All of us share a commitment to core values of trustworthiness, generosity and professional excellence. If you’d like help to decide who might be right for your needs, please call us at 503-482-2203 and we will do our best to be in touch within 24 hours. Wise Counsel & Comfort has fourteen locations in Portland, plus offices in neighboring communities of Beaverton, Gresham and Lake Oswego, all with easy on-street or nearby parking, and close to Tri-Met and MAX mass transit stops. On our website you’ll find info on each of the professionals who practice here, their academic and licensure/credential information, plus phone numbers and email addresses. You’ll find guidance about how to select the right therapist, or — if you’re not ready to reach out for help right now — steps to take toward healing and recovery on your own. We trust that the time you and your loved ones spend at Wise Counsel & Comfort will be time well spent in an environment that feels comfortable, safe and supported. If ever you feel that you have been treated with any measure of disrespect or received less than professional treatment from a clinician practicing at Wise Counsel & Comfort, you are welcome to contact our director, Lynne Joy Nesbit, M.S. by telephone at 503-504-8870 or Email: lynnejoy@gmail.com. If you or a loved one here in the Portland metropolitan area is currently in crisis, suffering severe symptoms, I urge you to seek immediate help by going to the emergency room of the nearest hospital, or calling 911. Launched in 2000, Wise Counsel & Comfort is an innovative, cooperative practice space for mental health professionals (psychologists, counselors, social workers, psychiatric mental health nurse practitioners, naturopaths, etc.) who share a commitment to our core values of professional excellence, trustworthiness and generosity. Colleagues must be either licensed, or practicing under an approved plan of supervision and working towards licensure (unless their scope of practice is exempt from licensure requirements). All Wise Counsel & Comfort clinicians offer discount fee options. If you are interested in joining us at Wise Counsel & Comfort, please click here: Shared Practice Space for more information about the history and purpose of Wise Counsel & Comfort, current availability, policies and rates.